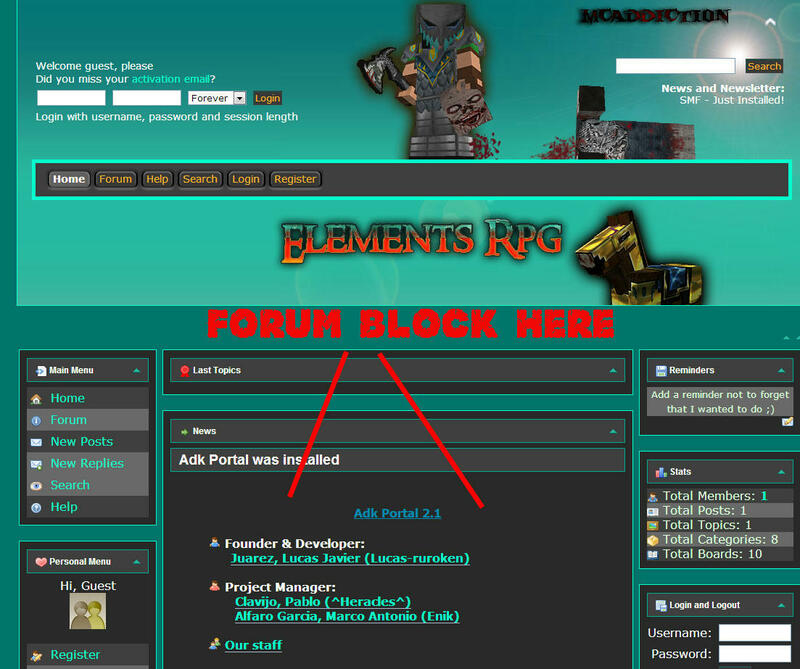 I would like to add a block to show the forums on the main page of my site. Once I installed Adk, they were removed and made accessible by a link on the homepage. What is the code to add the forums as a block? Its important to have the forums be on the main page of the site.